With a heritage that spans 70 years of artisanal craftsmanship, the quality and authenticity of Coach products is renowned. The luxury leather goods company began its life in a Manhattan loft as a family-run workshop. Since then, Coach has extended its reach across the globe, issuing its signature combination of American attitude and artisanal design with finesse. 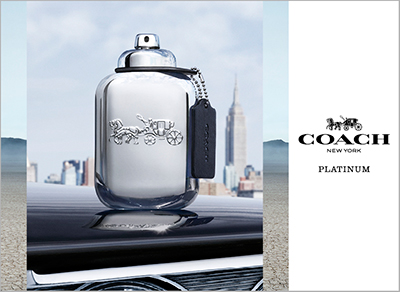 The Coach fragrance collection is as covetable as its collection of handbags and accessories, and continues to maintain the highest standards for materials and workmanship. From the classic Coach Signature scent, to the playful and girlish aroma of Coach Poppy, the refined brand marries timeless design with a touch of magic.